This pairing was a no-brainer. I mean, who doesn’t like peaches and cream with even more peaches? Since Wiley Roots‘ Peaches & Cream Country Fair Cobbler was a Sour Milkshake IPA, it wasn’t a sweetness overload. 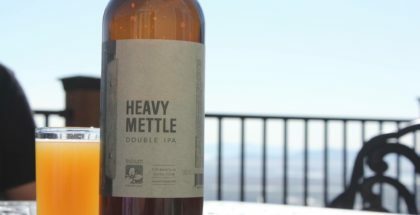 The bitterness from the hops used in the beer cut down the sweetness level, and the ingredients used only enhanced the flavors of the pie and vice versa. This pairing was one that I quite enjoyed. 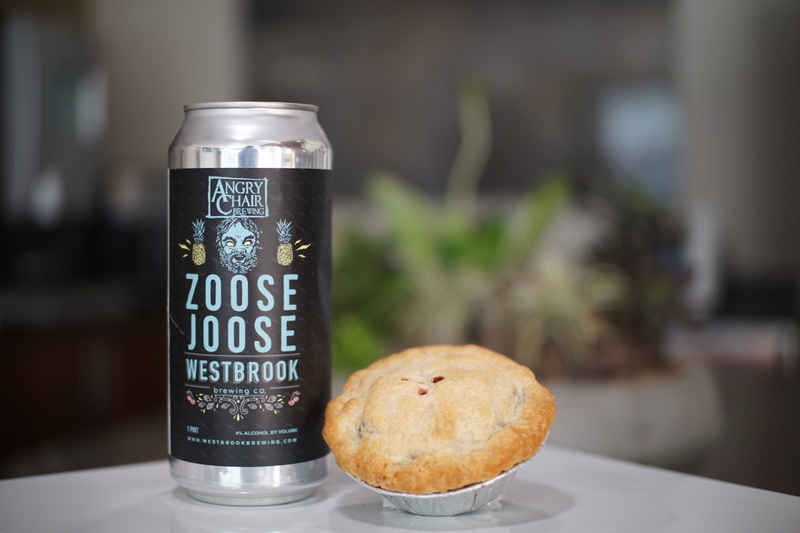 An unlikely combination, Zoose Joose from Angry Chair and Westbrook turned out to be one of my favorites when paired with the blackberry-raspberry pie. Upon the first sip, the sweetness and notes of fruit from the tangerine, pineapple, and cherry Berliner Weisse with marshmallows and lactose made my taste buds nothing short of happy. When paired with the pie, the slight tartness from the beer itself balanced the sweet from the pie, not creating a sugar overload. Although no blackberries or raspberries were in the beer itself, the combination of all created a delicious fruit medley. This combination replicates that tart apple-cran flavoring that many of us come to enjoy around the holiday season. 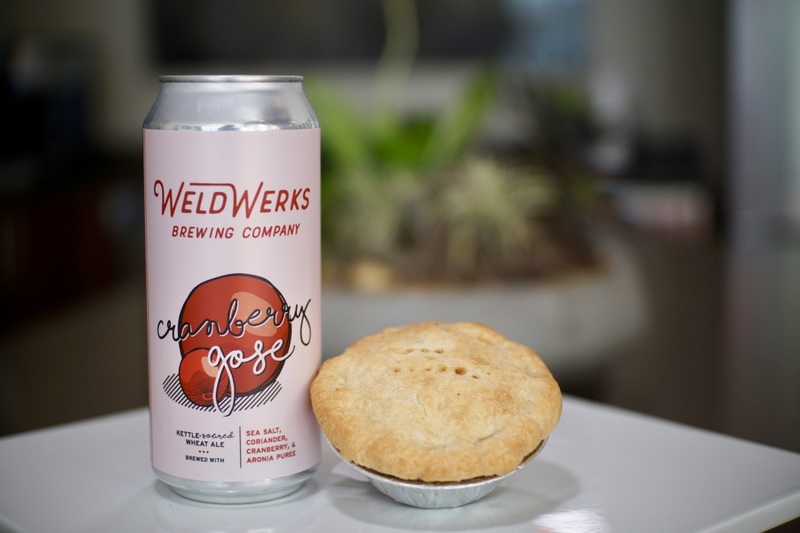 The light, slightly tart beer from WeldWerks balances out the natural sweetness that comes from the pie. Overall, this was the pairing that surprised me the most. Personally, apple pie isn’t my go-to; however, this combination made me reconsider that. 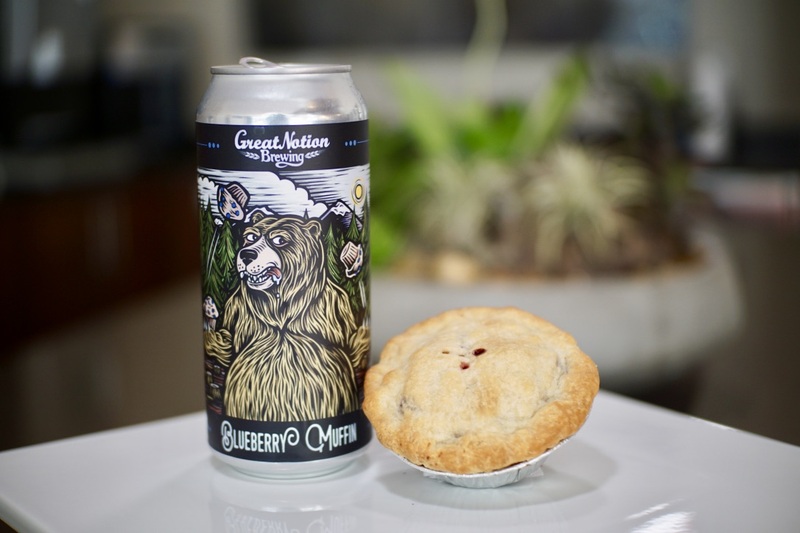 Both Blueberry Muffin and Boo Berry Muffin from Great Notion brings out the blueberry notes in the pie. In turn, the sweetness from the wild blueberries balances the tartness from the beer. I would have to say that these go seamlessly together; it’s basically a match made in heaven. 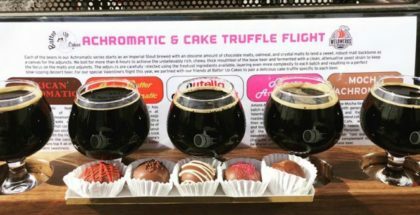 Having had the beer itself before, I knew that this pairing wouldn’t create a sweetness overload. But rather, it created that delicate balance between tart and sweet. 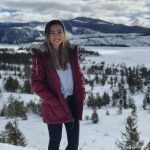 Growing up in Hawaii, I enjoyed a lot of sweet and sugary Strawberry Guava drinks from Hawaiian Sun. 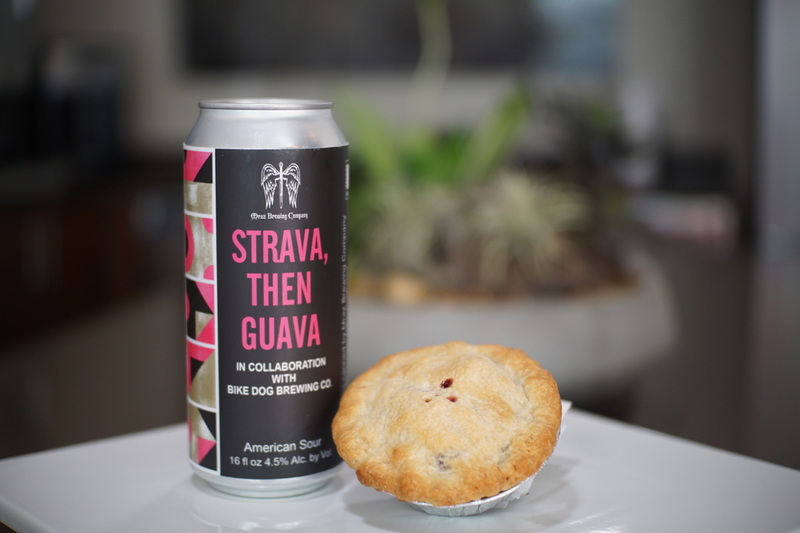 Feeling a little daring, I decided to try pairing Mraz Brewing & Bike Dog Brewing collaboration with the strawberry rhubarb pie. The pairing ended up being a nice surprise. Although it wasn’t the strawberry-guava like taste I thought it’d be, the flavors did end up balancing each other out. 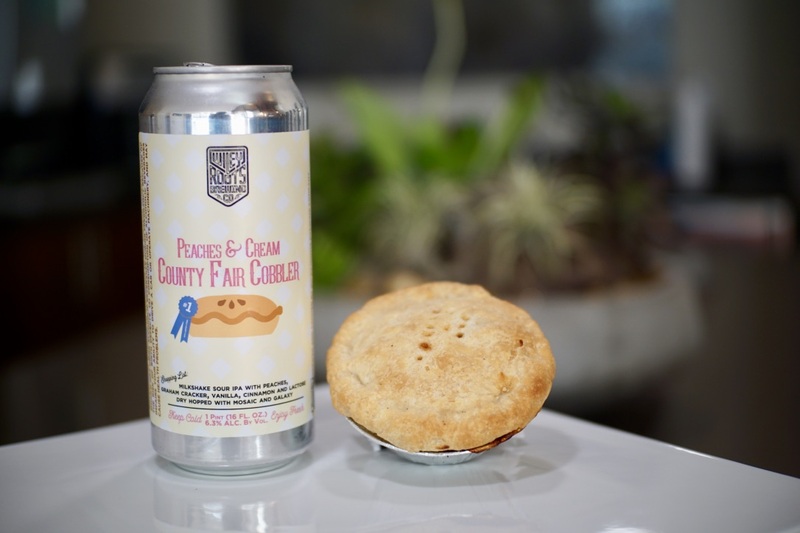 This pairing was the inspiration to explore the various possible pie and beer pairings. 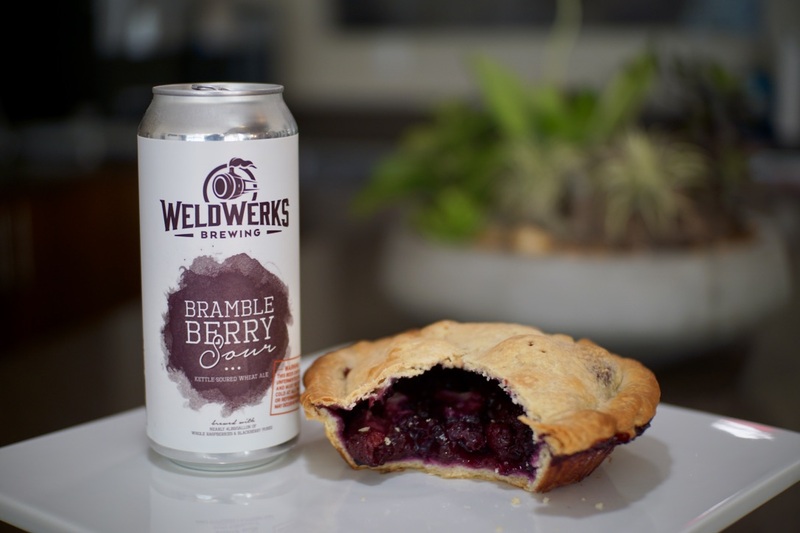 WeldWerks’ Brambleberry enhanced the flavors of the bumbleberry pie. 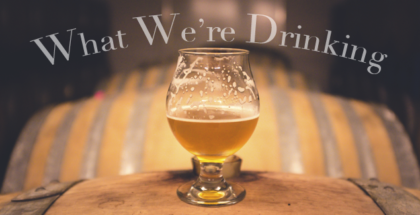 Since it’s a kettle sour, the puckering factor of it balanced out the sweetness from the pie. Although I may be biased since this was the inspiration behind the sequential experimental pairings that followed, this will definitely be my go-to pairing for a long time coming. Which pie + beer pairing will you dive into this #NationalPieDay?